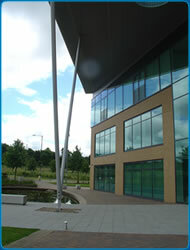 Reflex Technical Solutions is based on the outskirts of the city of Sunderland in Tyne & Wear, North East England. Easily accessible by road, rail and air - Newcastle International Airport and Durham Tees Valley Airport are each only 30 minutes drive away. Sunderland and its neighbour Newcastle have an outstanding shipbuilding and industrial heritage and the resourceful team at Reflex Technical Solutions continue the region’s long tradition of engineering innovation, applying fresh-thinking to every marine engineering and design challenge.